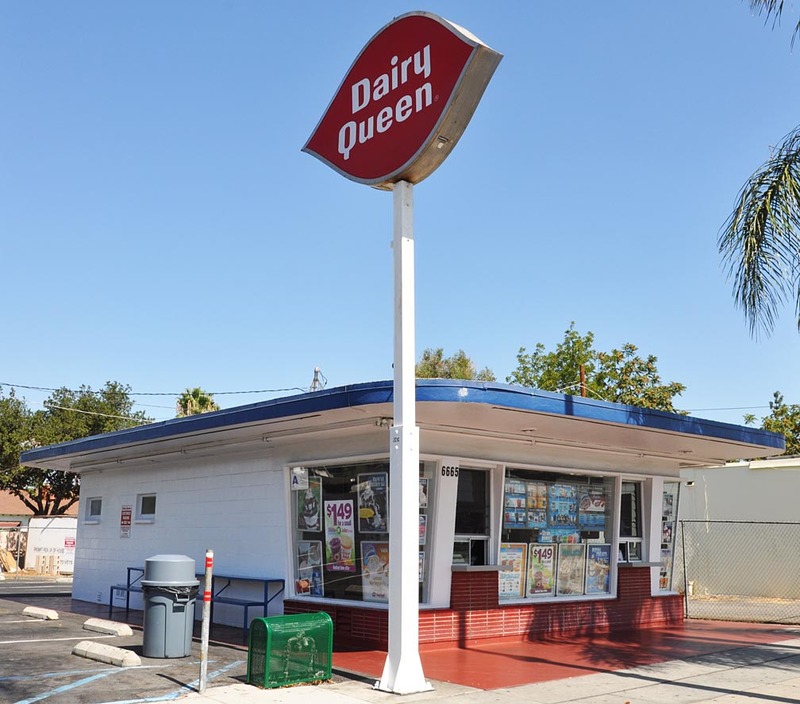 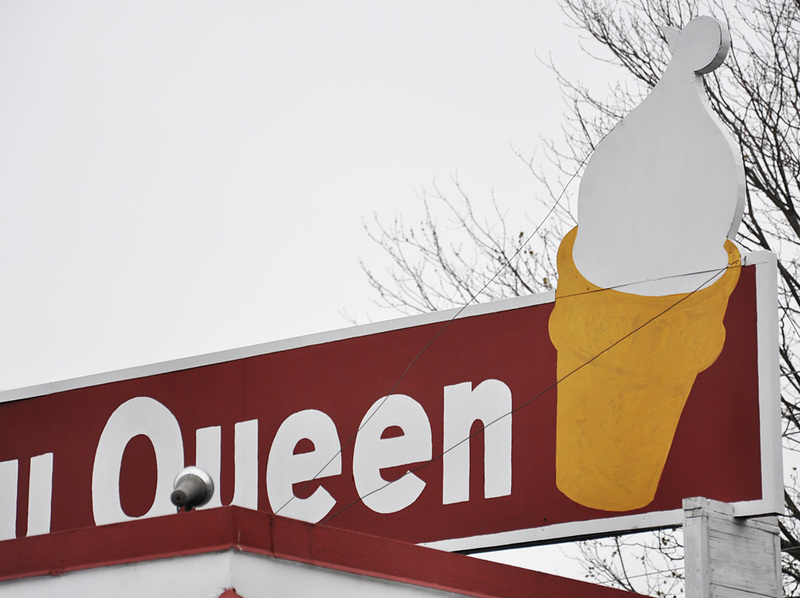 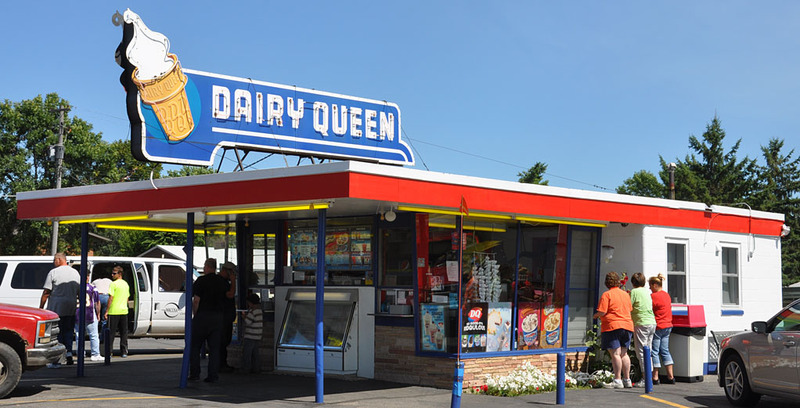 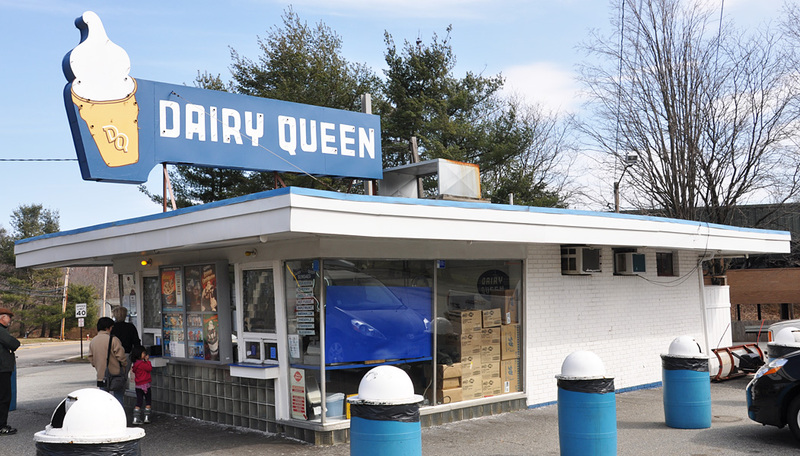 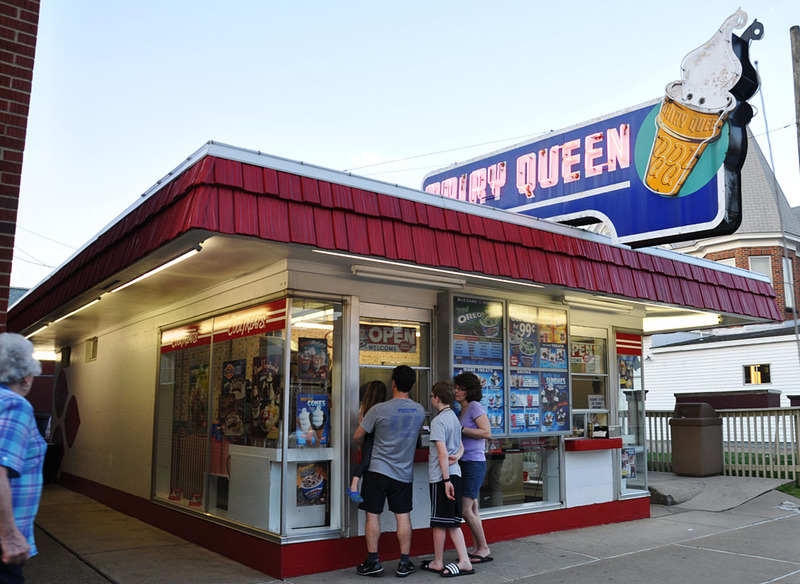 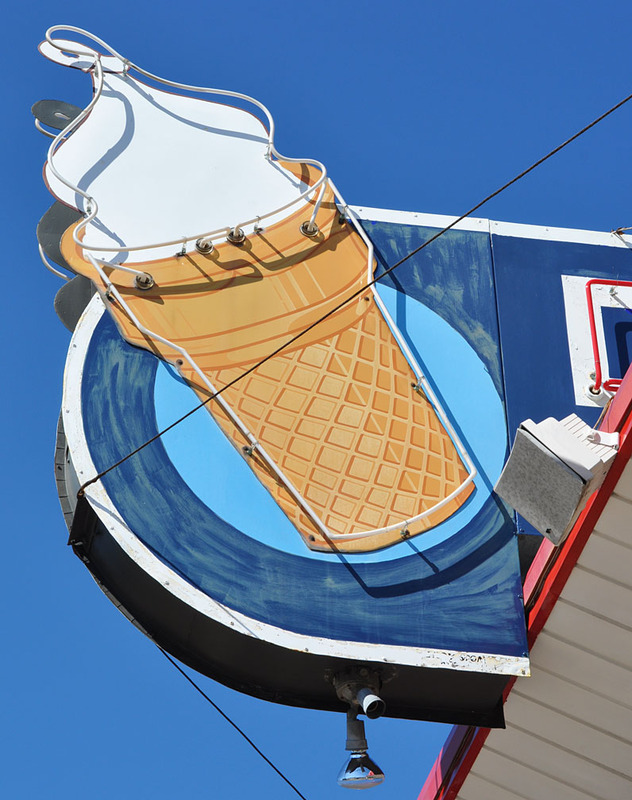 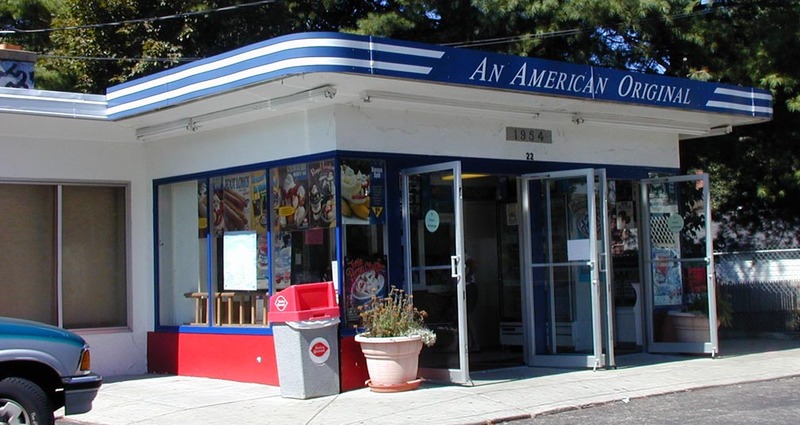 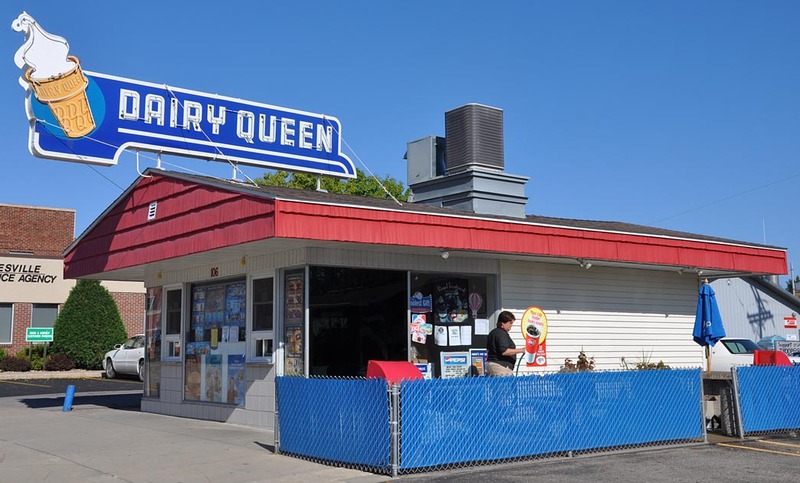 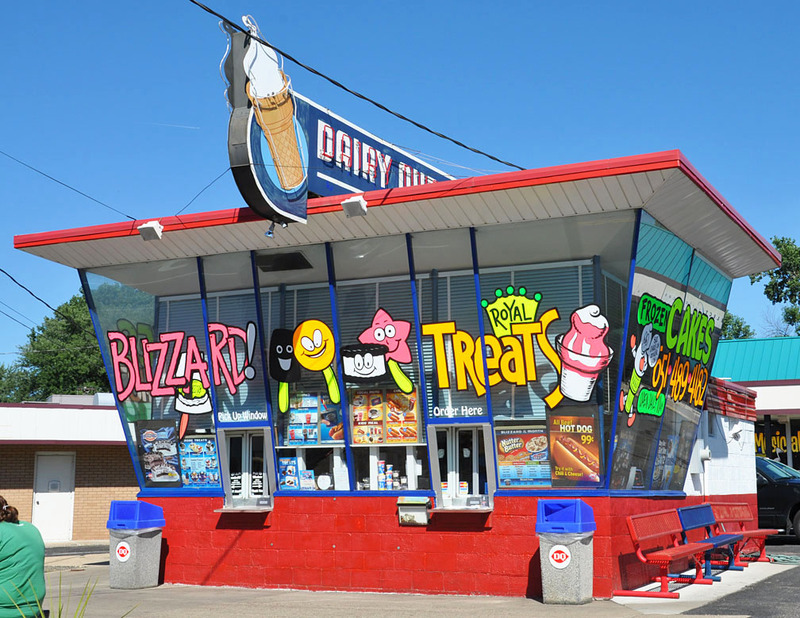 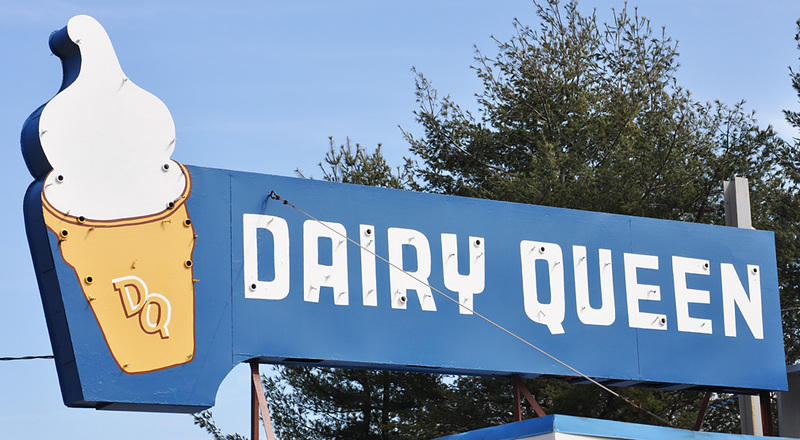 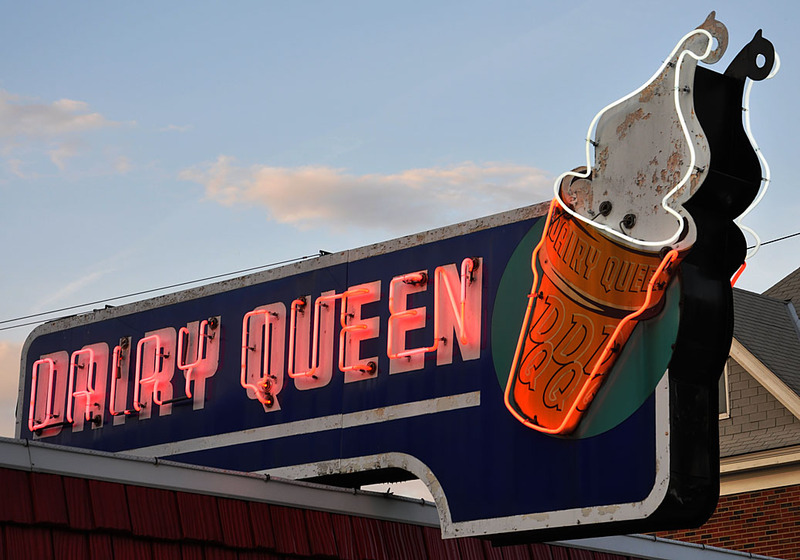 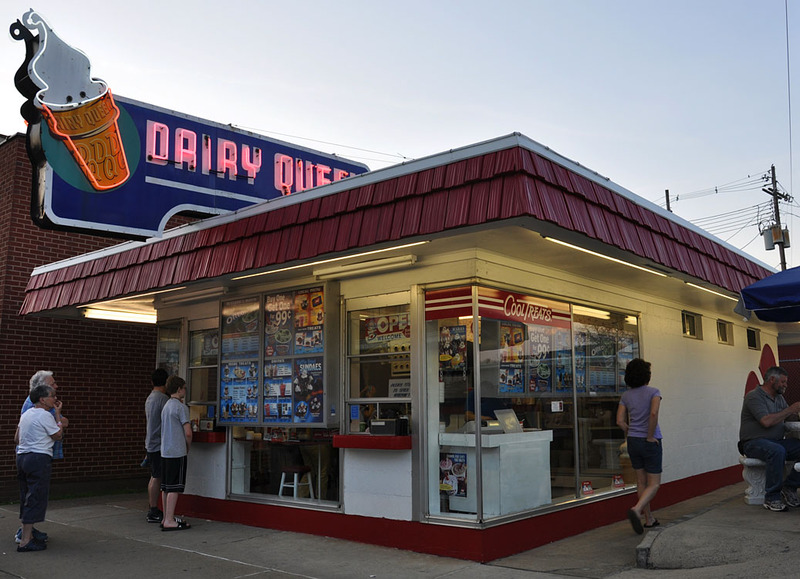 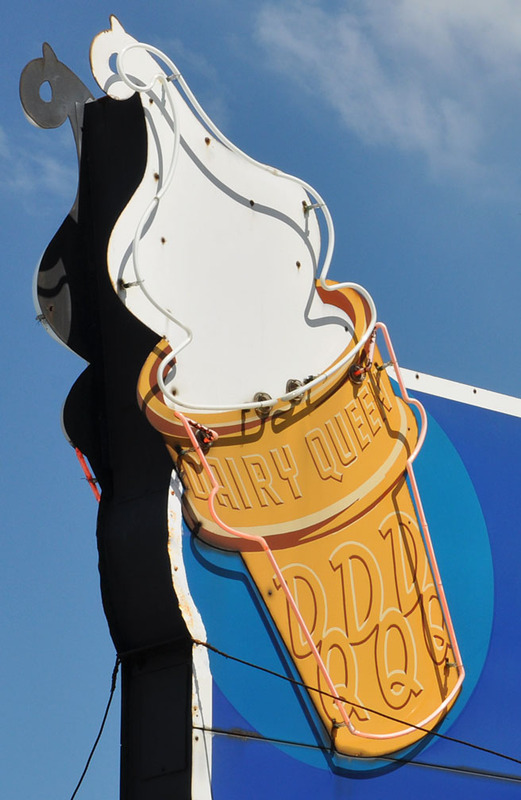 This Dairy Queen appears to be from the 1950s. 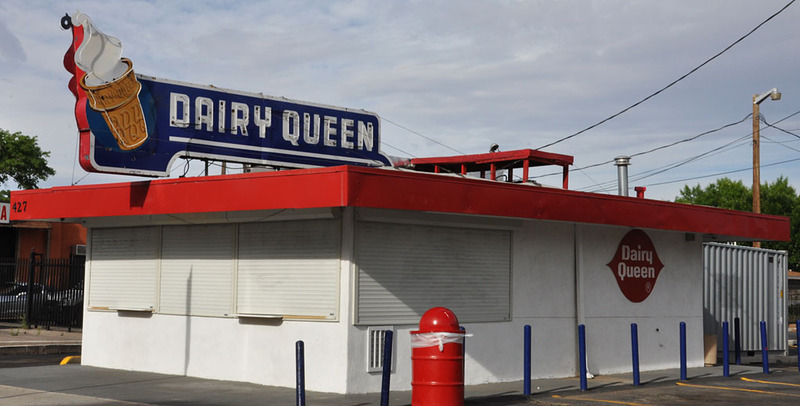 This photo is from 2011. 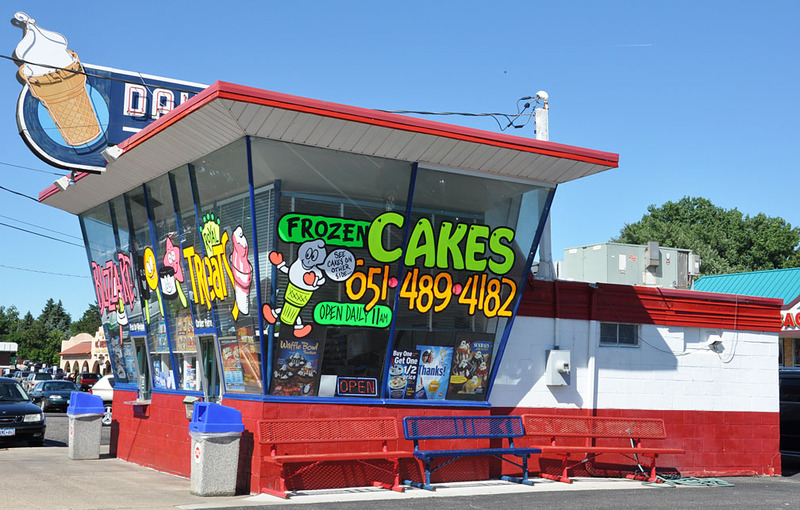 In 2015, this location closed and the rooftop sign was gone. 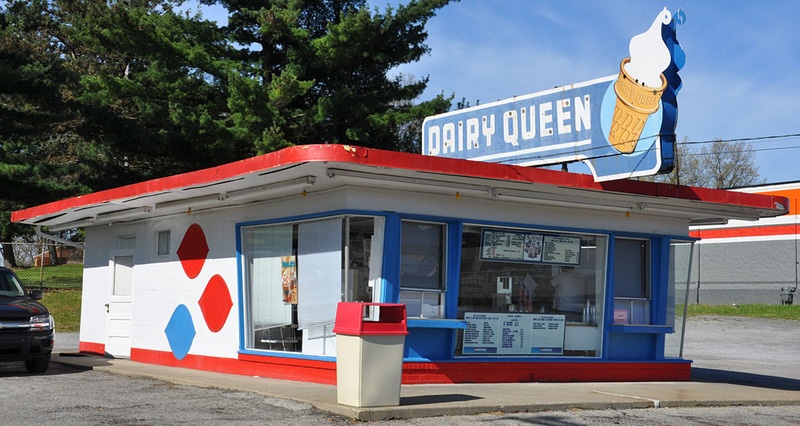 By 2018, a gable roof had been added and the building was housing a used car lot office.